At the Interpack exhibition in Düsseldorf, Germany, from May 8 to 14, Alfa Laval is launching the latest addition to its unique range of bag-in-box fillers. In the compact Astepo High Speed Low Acid bag-in-box filler (HS-LA) filling cycles are shortened by the use of electric servo motors controlling the aseptic filling head and bag feeder. Bags and fitment tooling can be changed quickly and easily and the machine can fill a wide range of bags and products using any commercial 1” spout type. Designed to meet market demand for a faster, even more reliable machine, the Alfa Laval Astepo HS-LA linear bag-in-box filler is suitable for high acid (pH <4.5) and low acid products (pH >4.5), such as juices, beverages, concentrated juices, purees, and dairy products like soft ice mix and flavoured UHT milk. Specially developed for the sterile filling of aseptic bags, from 3 to 25 litres (1/2-6 gallons) the filler is fully automatic in operation and gives a continuous filling process with a high level of reliability. The bags are delivered pre-irradiated with gamma rays, with a wide variety of commercial caps of the flat rigid type, or dispensing caps, both thermal and non thermal resistant, with high or low fitments. In the Astepo HS-LA filler the parts in contact with the product are in stainless steel AISI 316. The filling valve has EHDGE certification and the machine is FDA compliant (USA). The filling head and all food contact surfaces are sterilized by steam, and the machine is fully C.I.P. cleanable. The caps are sterilized in the sterilizing tunnel with a monitored jet of vaporized hydrogen peroxide before being introduced into the filling head. All moving parts are protected by monitored steam barriers and the aseptic filling head is maintained sterile at a controlled temperature by overpressure of air. Integrated in the machine skid, the air group comprises two sterile micro filters and food grade electric heaters for heating the air that goes into the chamber and the tunnel at a monitored flow and temperature. The Astepo HS-LA filler is managed by a PLC with an operator interface terminal with a touch screen. It is equipped with autodiagnostics for product traceability and a fail-safe system for continuous control of the sterile conditions of the plant. At Drinktec in Munich in September 2013, Alfa Laval launched two other bag-in-box fillers that also set new standards in the market – the Astepo Ultra-high-speed Aseptic Filler and the Astepo Beer-in-box Filler. The new Alfa Laval Astepo Beer-in-box Filler for de-carbonized and de-alcoholized beer is an excellent, clean and user-friendly alternative to returnable stainless steel kegs. The filler can handle 25 liter bag-in-box for capacities of up to 240 bags/hour. Three different sizes for ultraclean or aseptic filling are also available for capacities of 1,000, 4,000 and 6,000 l/hour. Read more about these machines. Alfa Laval's range of Astepo fillers is the widest, most flexible on the market and based on more than 25 years of experience in the aseptic process. The machines can be delivered in capacities from pilot to industrial scale and offer a variety of customization possibilities. 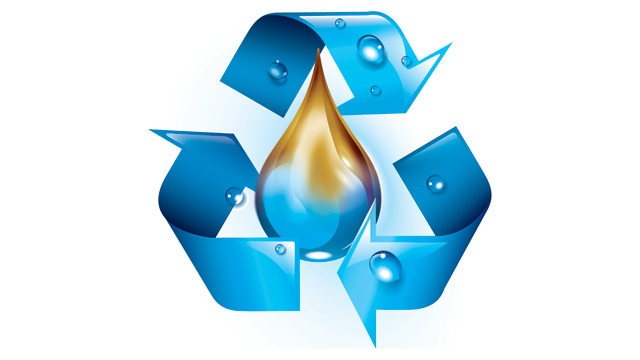 Most models are FDA compliant (USA) and the filling valve has EHDGE certification. The range is unique in including bag sizes from 3 to 1,000 litres. In addition, the fillers can be extended from one to two heads and from semi-automatic to automatic and are suitable for a wide range of different caps and closures. Alfa Laval Astepo fillers can be delivered with different automation systems, such as Siemens, Allan Bradley etc. Preassembled and pretested, the fillers are characterized by their compact designs with autodiagnostics for product traceability and alarms with precise fault indication. 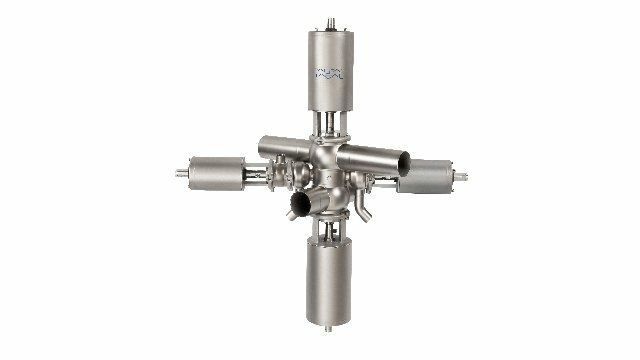 Alfa Laval Astepo fillers can be delivered as stand-alone modules or as part of a complete, integrated system including other Alfa Laval modules, such as AlfaTherm Flash Pasteurization, Alrox Decarbonation, SteriTank and Combibox Cartoning System. Alfa Laval has always been dedicated to innovation and this new Astepo machine represents yet another milestone in the aseptic filling of bags. Thanks to the implementation of brushless electric servo motor technology in the new filler, we are able to control and adjust all the movements of the aseptic filling and the bag feeder with extreme accuracy and smoothness of motion. This is what gives the machine the capability to fill up to 500 bags per hour, based on 10 litre bags. It also enables changeover of caps and volume to be achieved in minimum time compared to any other machine currently available on the market. Designed to meet market demand for a faster, even more reliable machine, the Alfa Laval Astepo HS-LA linear bag-in-box filler is suitable for high acid (pH <4.5) and low acid products (pH >4.5), such as juices, beverages, concentrated juices, purees, and dairy products like soft ice mix and flavoured UHT milk. Specially developed for the sterile filling of aseptic bags, from 3 to 25 litres (1/2-6 gallons) the filler is fully automatic in operation and gives a continuous filling process with a high level of reliability. 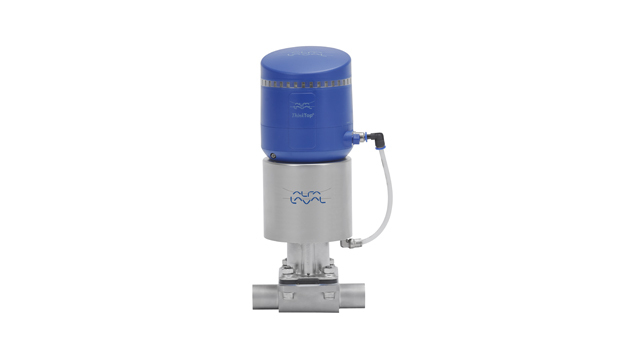 Naujasis "Alfa Laval Aseptic Mixproof Valve" sukurtas patenkinti naujus, augančios rinkos, poreikius.